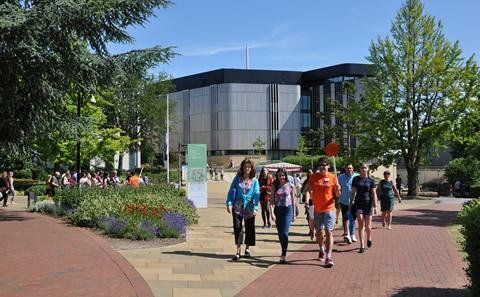 Southampton has a good reputation and the civil engineering course is highly ranked. 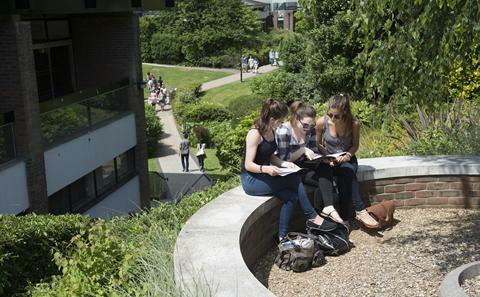 The location is brilliant, with lots of green space on campus whilst still being close to the city centre. It’s also only a short train journey to both the New Forest and Bournemouth beach. What clinched it for me was the amazing atmosphere at the University on the open day. My biggest achievement has been founding the University of Southampton Civil Engineering Society (CivSoc). We negotiated sponsorship with a local engineering company, arranged visits to construction sites and ran social events. 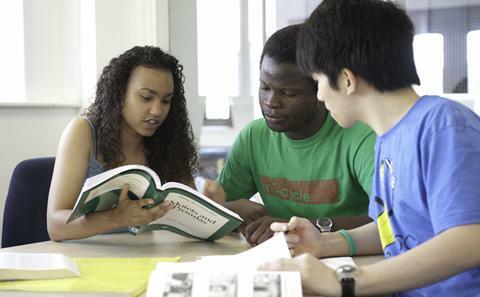 What made you select to come to study at Southampton? What have been your Southampton ‘highlights’ so far? I've been on two of the University's ski trips with a big group of friends from my course. The skiing was amazing, I met loads of new people and the nights out were great fun. Last year we had heavy snow at University in January, so we took a break from revision to build an igloo on the common. My biggest achievement has been founding the University of Southampton Civil Engineering Society (CivSoc). We negotiated sponsorship with a local engineering company, arranged visits to construction sites and ran social events. At the beginning of the Easter holidays, 44 of us went to London for a tour inside the Thames Barrier, a trip on the Emirates Cable Car and a visit around the Canning Town redevelopment construction site. We also went up to the top of the Shard, where we had a talk from the building's chief designers. I've also made the most of the University's Watersports centre, learning how to kayak, sail, windsurf and drive a powerboat. What opportunities have you taken up? The civil engineering course includes a week long construction project in the first year called "constructionarium". This involves a week of getting stuck in and building scaled down versions of famous structures. I was project manager of an 11m tall version of London’s “Gherkin” skyscraper, which was one of my favourite experiences of the course. The experience taught me just how challenging working on site is and has given me a lot of respect for people managing big construction projects. I have been involved in promoting the University, both as a Student Ambassador and also a tour guide on the civil engineering UCAS interview days. I am a University Representative on the local Institution of Civil Engineers (ICE) Graduates & Students committee and the Institution of Structural Engineers (IStructE) committee. Through this I have met lots of local people that are very enthusiastic about the civil engineering industry. In addition, I helped to represent my degree programme when it was re-accreditation by the Joint Board of Moderators (JBM). Have you had any exposure to employer involvement or research led learning during your course? How will this help you achieve your ambition? We sometimes have guest lectures for our modules from local senior engineers. It’s always interesting to hear from a practicing engineer exactly how the theory is applied in current industry practices. Additionally, our first year constructionarium project was sponsored by an external company. It was a great opportunity to speak with graduate engineers and learn what the real world is like. Finally, as part of my dissertation on geothermal tunnel linings, I was able to engage with several firms working on similar projects. Again, it was really good experience to speak with world leaders in the subject. What are you enjoying most about your course? I’ve enjoyed the course more and more as it’s progressed because you learn how to apply the fundamentals to real life projects. Group design projects are especially fun as you get to apply everything you’ve learnt. Do you have the opportunity to study modules outside of your core subject area, and how do you think they are adding to your experience? There is not the opportunity to do this at present, but this is changing for new course applicants. Nonetheless, I hope to undertake evening classes in “Business for Chinese Communication” from September with the University’s Confucius Institute. I am very interested in China’s booming construction industry, being able to speak the language will help me to explore this further. What networking, employment and work experience opportunities have you undertaken and how have they enhanced your undergraduate experience? I spent a gap year working in geotechnical engineering for global engineering consultancy, Ove Arup & Partners Ltd, in their London head office. Since then, I have returned to Arup for one summer placement in geotechnical engineering and one summer placement in tunnel engineering. 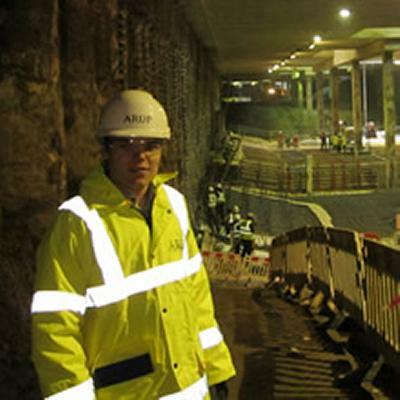 I even spent my Easter holiday working for Arup in tunnelling. Last summer I was awarded a scholarship by the British Tunnelling Society (BTS) to attend a week long residential course in “Tunnel Design & Construction”. The course was led by senior tunnel engineers with global experience and was a fantastic networking opportunity. These experiences have been invaluable in helping me decide that tunnelling is the industry I want to pursue a career in. Do you have any idea of what you would like to do in the future? Summer placements in an engineering firm have been invaluable in shaping my career ambitions, helping me to realise which parts of the industry I enjoy the most. Starting the Civil Engineering Society gave me an opportunity to network with experienced engineers and learn about the different career paths engineers commonly take. After graduation I hope to work in London as an engineer in the tunnelling industry. I plan to spend several years gaining experience around the world to achieve Chartered Civil Engineer status with the ICE. In the long term I would like to be involved in bidding for design work and managing large tunnelling projects.